We all know that a website is the go to place for a web presence. Websites work 24 x 7 and can sell or serve even when you are asleep. Websites can have many features associated with it. From having simple good looks to sophisticated design, lightweight to feature heavy, moderate to high traffic. Sounds intimidating? Relax, we can simplify the process for you. Simply contact us today for a free webside design quote. 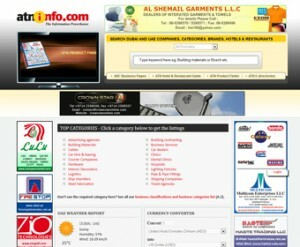 We are Dubai web site design specialists. We are not sitting thousands of miles away (yawn) trying to read your mind. We come, meet, greet and get to know you and your requirements before thinking of a unique website design for you. We work quick and solve problems fast. And yes you heard that right – unique design; each one of our designs are thought out from scratch, there are no short cut copy designs, no cheap immitations. It means a website designed for you by us will be as unique as you! Your website is like your thought in action. It is your creation, it is your image. We not only create websites, we make sure they run throughout the period. No more website down time, no more embarassing errors. Looking for an expert? Come to the professionals, don’t experiment with your company and brand image. We have been constantly churning out wonderful websites, our proven work is there for you to see. gobble.ae – This is our pet project. Completely conceptualized and executed by us both in design as well as functionality. Each and every detail, every little design exudes class. The functionality is well thought out keeping users firmly in mind. And this is just a start. 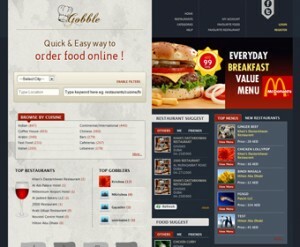 Like gobble.ae you can count on us to deliver exceptional design and functionality to your website and project. These websites and many others display our flair for design and expertise. Our website designs span many industries. Each industry warrants a different approach, each customer requires and different thought process. We pride ourselves in understanding your requirements easily and producing what you want quickly and at very reasonable rates. You too can benefit from our services. Contact us today for a free webside design quote. Our wide of website expertise: Company website, personal website, E-commerce website, shopping site, sell online, blogs, CMS, Flash website, mobile website, phone optimized website, school website, directories website and many more. You need a great website? Come to us today! Contact us today for a free webside design quote. We offer dubai web design services in the UAE. Website development is a really tricky area. Being a technical service, you can get the job done from a small fee to a big one. We agree it can get real complicated. And having hundreds of web design companies to choose from dosen’t help. It all boils down to how the job is being done by Dubai webdesign companies – using a quick short cut and cut corners or taking the more elaborate, meticulous personal route. We fall into the latter category. We meet up in person, take your requirements and opinions, get to know you, draft a design especially for you. It is a custom style, a layout which is created only for you and there is no other copy in the world! All at a reasonable fee. There are no two ways about it. We are very clear in our mission – Create great looking websites at affordable rates and satisfy our customers. That is why our work is highly creative; a lot of time is taken out to understand you, your requirement and to make a design as unique as you. We also give valuable technical assessments, critical evaluation and suggestions to keep you abreast of your competition. The tech field changes at a very rapid pace. A website designed 2 years ago will look outdated. Your users are probably tech savvy people who use the latest most modern browsers, gadgets and devices. Don’t let me see what will in their opinion be an outdated website. Websites designed and maintained by us go through an upgrade process constantly. Your website users will be impressed by your website, up to date with technology, working smoothly serving them constantly. We are excited to partner with you, to create something for you that we will all be proud of. Contact us for a free web site quote now, or read more about our unique designs and some dubai website designs we have done for our clients. UAE and Dubai Website designing. It is what we do best. Period. I had a peculiar problem recently, the phpmyadmin in my windows 7 had all tables in lower cases. The one on my webserver on linux had all upper cases. When exporting tables to the web server I always had the case mismatch problem and my scripts wouldn’t run with the correct data. I had to always export in my windows 7 machine in text format, open each table and change the table names to upper case. As you can imagine, with a lot of tables this can be daunting, plus human typo errors. When you have to do this regularly this becomes terrible. Then some tables are huge and saving and opening them to edit in text editor is a pain. So I went around looking for the solution, only to find everyone having the same problem. One guy had it solved but it wasn’t explained properly, so I tried it half heartedly and gave up. After some thinking, I came across the solution. It may not work for you but it did for me. I set about changing the table names in my local Windows machine to upper case, that would solve my problem. I can then export directly to gzip and upload! Now simply go to phpmyadmin, rename the table to any temp name, then rename the temp name back to the original with upper case.